We could visit San Francisco again and again. It is truly one wonder after another. From the iconic Golden Gate Bridge to Alcatraz to the cable cars to the Castro District to Chinatown to the Palace of Fine Arts to Nob Hill to Lombard Street to Fishermen’s wharf, San Francisco is a delight to explore. There is so much to see and do, it is always nice to find a deal that will save some cash and make your adventures easier. San Francisco is home to a wide variety of attractions and activities, which can sometimes make it hard to decide what to see in a single trip. With an attraction pass such as CityPASS or Go Card, choices are made easier by pre-paying entry to a select list of options. CityPASS booklets are good for nine days, starting with the first day of use. So you can visit attractions at your own pace, and in any order. 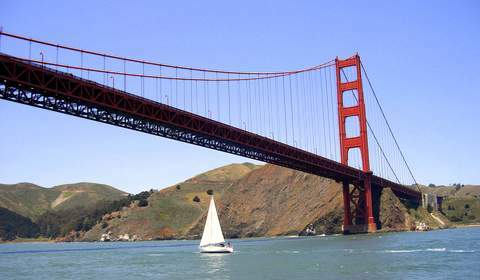 Includes the Aquarium of the Bay on PIER 39, California Academy of Sciences, the De Young Museum and the Exploratorium, plus a ride around the bay with Blue & Gold Fleet. Unlimited transportation on all Muni trolleys, buses and historic cable cars for three consecutive days. Savings of 42% or more vs. the cost of combined entry for each activity, plus the ability to skip the lines at certain attractions with the CityPASS ticket. Additional savings offered with partner coupons on shopping, dining and more. The San Francisco CityPASS can be purchased at www.citypass.com or any of the participating attractions. The Go San Francisco Card offers a variety of multi-day and option package passes. Go Card partners with more than 25 attractions and activities, including top favorites like the De Young Museum and SFMOMA, unique options off the beaten path like an AT&T Park Tour or the San Francisco Dungeon, and beyond destination tours to Muir Woods and wine country. Choose what and where to visit as you go, based on a pre-selected combination of days and attractions. You can also build your own pass with specific attractions, and use at your leisure with a 30-day window for use after your first redemption. Save up to 55% with an All-Inclusive Pass and choose from 27 attractions. With the free Go City Card app, you can use your pass on your phone. Pre-packaged options such as a San Francisco Museum Pass can take the guesswork out of choosing a package. The Go San Francisco Card can be purchased at www.smartdestinations.com/san-francisco-attractions-and-tours/. Visitors looking to buy tickets to single attractions can take advantage of select discounts direct through San Francisco Travel. Visit the Buy Tickets page to view savings on a number of options. San Francisco International Airport (SFO) offers non-stop flights to more than 46 international cities on 39 international carriers. The Bay Area's largest airport connects non-stop with 79 cities in the U.S. on 13 domestic airlines. SFO is proud to offer upgraded free Wi-Fi with no advertising. For up-to-the-minute departure and arrival information, airport maps and details on shopping, dining, cultural exhibitions, ground transportation and more, visit www.flysfo.com. Follow SFO on www.twitter.com/flysfo and www.facebook.com/flysfo. For gay travelers, San Francisco offers a webpage dedicated to you! Visit http://www.sanfrancisco.travel/lgbt to see events, restaurants, clubs and even specially designed itineraries!